Beta-amyloid (Aβ) peptides derived from amyloid precursor protein are found in human cerebrospinal fluid (CSF) and have proven to be informative biomarkers with respect to neurodegeneration, especially Alzheimer’s disease (AD). Quantification of Aβ peptides has proven useful in discriminating AD from other dementias and in staging AD patients with respect to the natural progression of the disease. The Aβ Peptide Panel 1 (6E10) provides a sensitive and efficient means to monitor changes in concentrations of the Aβ peptides and has been validated for measurement in human CSF. These assays are also compatible with other sample types, including conditioned neuronal cell culture medium, cell lysates, and tissue homogenates such as transgenic mouse brain. They provide a platform for use in early discovery from pre-clinical through clinical studies. These assays have been developed according to “Fit for Purpose” principles and are consistent with guidance from the Clinical and Laboratory Standards Institute. 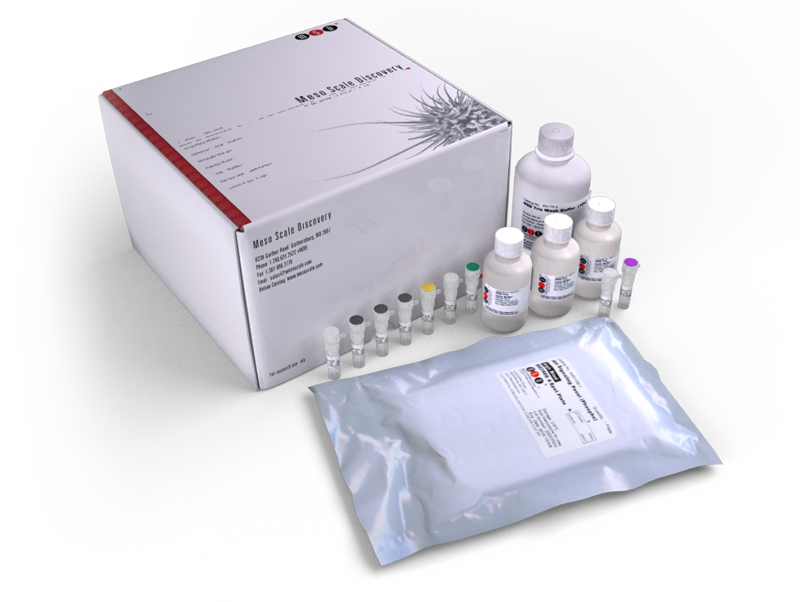 The Aβ Peptide Panel 1 (4G8) Kit provides assay-specific components for the quantitative determination of Aβ38, Aβ40, and Aβ42 in human samples. This validated assay uses peptide-specific capture antibodies with the n-terminal, anti-beta amyloid (1-16) antibody (6E10 clone) as the detection antibody. The 6E10 clone is provided by Covance Research Products, Inc.
Amyloid-beta 42 adsorption following serial tube transfer.